Being a client centric organization, we are involved in offering a wide range of T-Shirt Hang Tag. 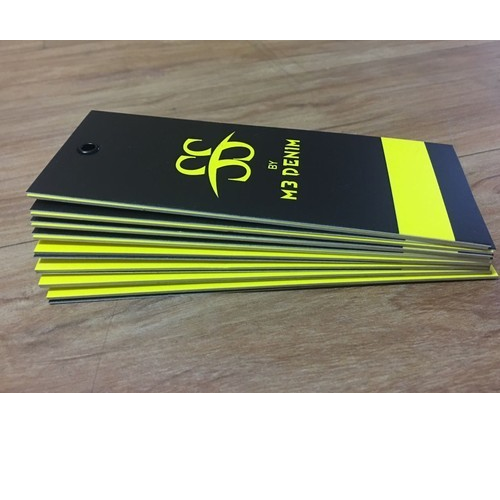 Founded in 2010, MN Corporation is a prominent Manufacturer and Exporter of Garment Hang Tags, Clothing Tags, Paper Box, Printed Labels and more. These products are highly praised in the market owing to their tear resistance, moisture resistance, attractive design, glossy finish and waterproof nature. Our products are fabricated utilizing the quality raw material, which is procured from the reliable vendors of industry. Moreover, our fabricated products undergo several stringent quality tests to ensure strength, durability and optimum functionality.